The 2019 Mille Miglia will take place over three days in May from 15th to 18th. The Mille Miglia is a race that blends Italian history, culture, creativity, charm and style with the stunning Italian landscape, to produce an event that appeals to not just motor enthusiasts but to every person with even a hint of a romantic nature. On March 26th 1927, seventy seven cars competing in the inaugural Mille Miglia departed from Brescia, the cradle of Italian motorsport, on a 1650km circuit, which had a turning point in Rome. After 24hrs and 4 minutes, an OM 665 Sport driven by Ferdinando Minoja and Giuseppe Morandi, the first winners of the Mille Miglia Cup, crossed the finish line in Brescia having completed the course with an average speed of 77km/h. Fifty Five cars of the seventy seven cars made it to the finish line thus marking the event a resounding success and ensuring that it would become one of the most important events on the motoring calendar. The Mille Miglia cup was competed for 24 times between 1927 and 1957, with World War 2 causing an interruption to the annual event. BMW , Mercedez and Lancia all enjoyed success but the race was mostly dominated by Alfa Romeo and Ferrari which both enjoyed extended reigns. Famous names including Gianni Marzotto and Stirling Moss have had there names on the cup. The race was banned after two fatal crashes in 1957 but was reborn twenty years later it as a TSD rally. The race since 1977 is limited to vintage car models of took part in or completed registration for one of the speed editions of 1927 to 57. 430 teams, from 35 countries, representing 61 manufacturers will compete in the 2014 edition of the Mille Miglia. The course has varied of the years but it has always had it’s start and finish line in Brescia, it’s halfway point in Rome and a stretch which takes the race past Lake Garda. 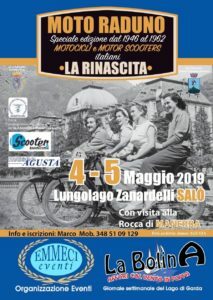 This year on the 15th of May visitors to Lake Garda will have the chance to see the cars driving through the Lake Garda towns of Desenzano, Sirmione and Peschiera. If you are visiting Lake Garda this May then you must make a point of getting to one of these towns to experience the spectacular phenomenon that is the Mille Miglia. A lively and bubbly mix of sport, culture, tourism, performances, and international friendships, held in locations that are among Italy’s most artistic and historical gems. It is these places, along with their architectural and natural beauty that made the Mille Miglia become much more than a simple revival but brought the race to an insurmountable dimension. In addition to being a spectacular automotive event is a phenomenon that encompasses social and cultural customs, and is considered by those who currently manage it as “a smashing media event”. Click for the Mille Miglia 2019 race program. Click to see the event in our event calendar . 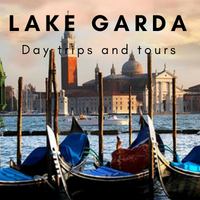 Check out this and more Lake Garda events on our Lake Garda Events Calendar.